Dimensions 0.50 by 8.75 by 10.75 in. All terrain cycling; Juvenile literature. 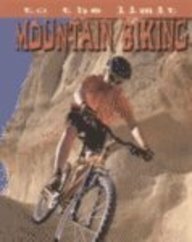 Amazon.com description: Product Description: Discusses mountain biking and its origins, hardtail and full-suspension bikes, freeriding, downhill, clothing, techniques, competition, and safety.